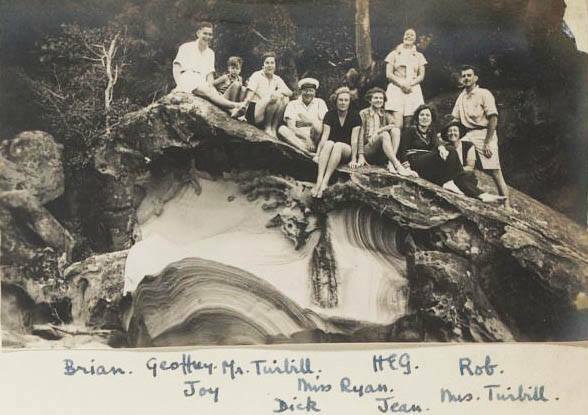 It seems the people of the Hawkesbury have long had a strong desire to “muck about in boats” and have similarly had a long love affair with “their” River. The story of the steamer “St Albans” has embedded within it both of these desires. 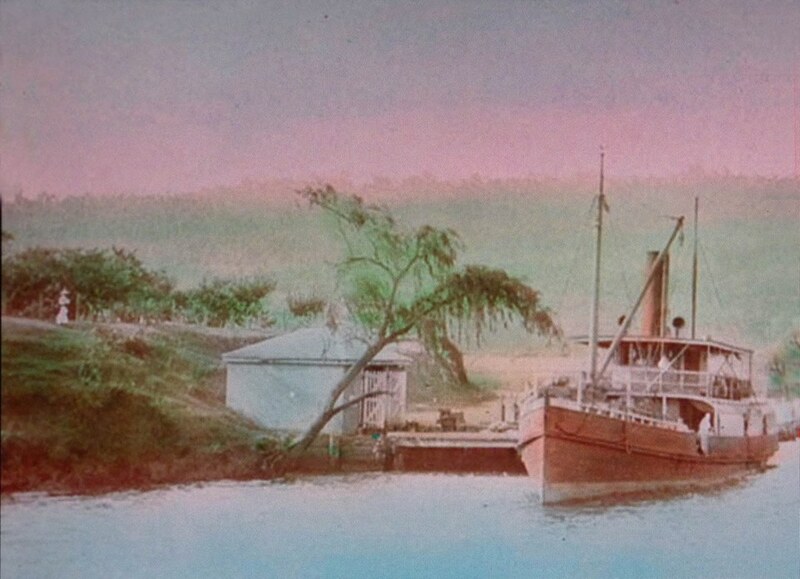 The “St Albans” was born when she slid down the skids at 10 o’clock into the waters of South Creek with an almighty splash in January 1886. Her owner was Mr Barden and her builder/designer was Mr W. S. Lockhart - she was launched in the presence of some 30-40 people. 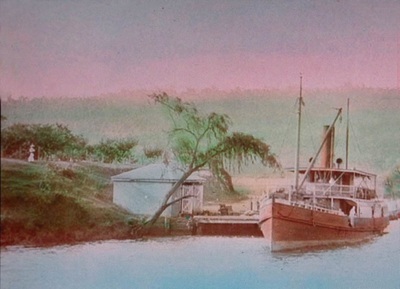 The “St Albans” was a flat-bottomed boat and little had been done to her than planking her up to the height of her deck beams and sheathing with metal. It was considered all her top work could be just as well finished when afloat. The machinery , with the exception of the boiler, that was used in her came from the old “Alma” – the steamer that John Jurd had traded with in the 1870’s. 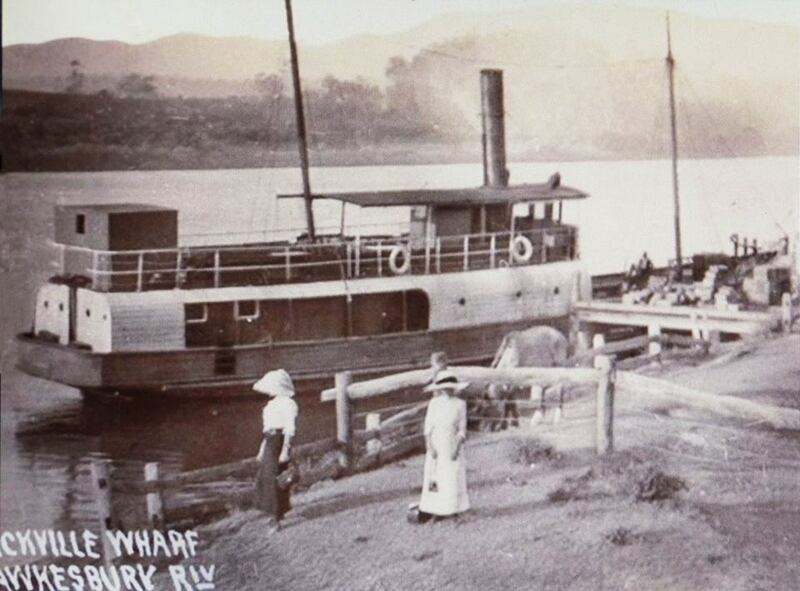 In March 1886 she made the first successful attempt to navigate the Hawkesbury by steam from Windsor since the big flood of 1867. She left Windsor Wharf with passengers and cargo, including 3 racehorses! for St Albans. She was intended to trade between the Macdonald River and Windsor and was considered a great boon to residents. Mr Barden had two boats, the “St Albans” and “Young Charlie” – these were sold after his death in the late ‘80’s. Then in 1889 a local syndicate, Mr G. Manning and one of his sons, Andrew; Mr Peter Kemp ( a famous sculler) and Mr W. Jones purchased the St Albans for a sum of 300 Pound. Kemp and Jones eventually fell out of the business and the boat went to the Manning family, with Andrew “Archie” Manning in command. 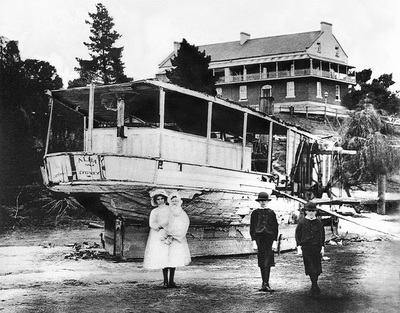 Archie purchased the “St Albans” in 1890 and became owner/commander. * 1891 “ The steamer St Albans landed 250 bags of maize at Windsor wharf. * Accident at Wiseman’s June 1889 “ On Queen’s Birthday a lad apprenticed to Mr J. Walmesley was playing with fireworks when a Chinese gun exploded and burned him severely in the face. He was brought up to Windsor aboard the “St Albans” and treated at the Hospital by Dr Callaghan. He is now recovering. * 1896 Hawkesbury Swimming Club ran the mile swimming championships of Australasia. There were 1,500 spectators and the river banks were gaily decorated. The river was alive with boats and 3 local steamers – the “St Albans”, “Lottie” and “Colonel” were there. From the following articles we can date almost exactly the time the photograph of the St Albans and the children was taken. It seems the old man and his boat “retired” at the same time from the river. Mr Andrew (Archie) Manning died in 1928 at one of his daughter’s homes in Bridge street Windsor. He had suffered from severe rheumatism for the last 10 years of his life and had been retired from the river trading business for about a quarter of a century. He was well known and gained friends with everyone with whom he came in contact. So, if the photo was taken in 1899, and the children in front of the St Albans are Andrew and Amanda Manning’s children, which ones do you think are in the image? Was it taken in 1899 when Archie brought it to Windsor for repair? Or was it taken in 1902 when George Boyter brought her to Windsor to broken up? Who might the children be now?